This Fit to Frame quilt pattern is designed to be fun and easy yet lovely enough for framing! 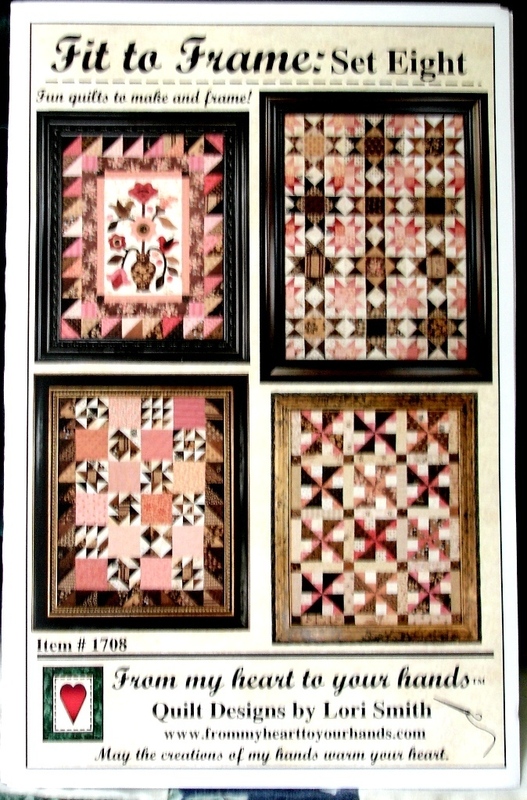 The sizes of the quilts match the measurements of ready made frames that are readily available at craft stores. 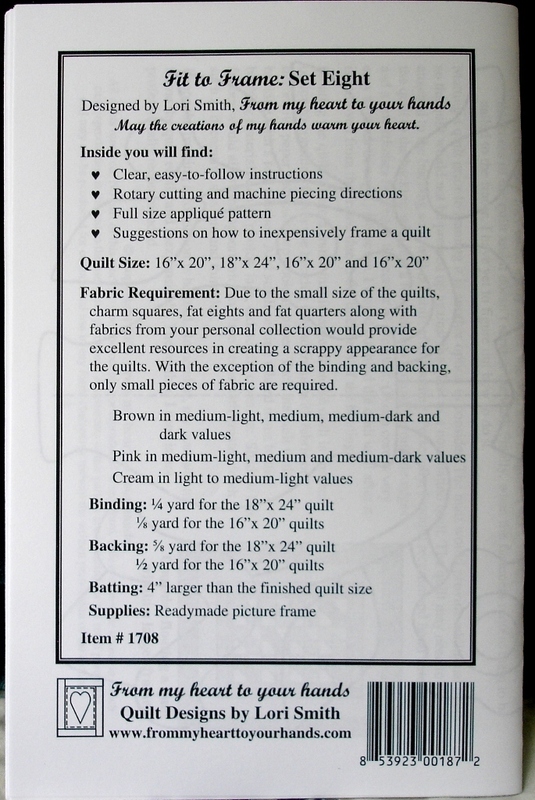 Thus making framing easy and affordable ,while elevating quilting to the art form that it is. Finished quilt sizes 16"x 20", 18"x 24", 16"x 20" and 16"x 20"
This great Fit To Frame Set Eight From My Heart To Your Hands Quilt Pattern By Lori Smith will ship USPS First Class with tracking.